In 2017, the divorce rate dropped to an all-time low, proving that more people are trying to work on their marriage instead of taking the “easy” way out and calling it quits. 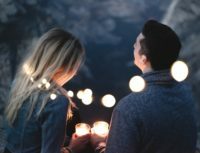 When you and your spouse are going through rough patches, it may seem as if divorce is the only solution to make you happy again, but that’s not entirely true. You married this person for a reason, and you likely still love them, but sometimes marriage just needs to be worked on to make it feel special again. 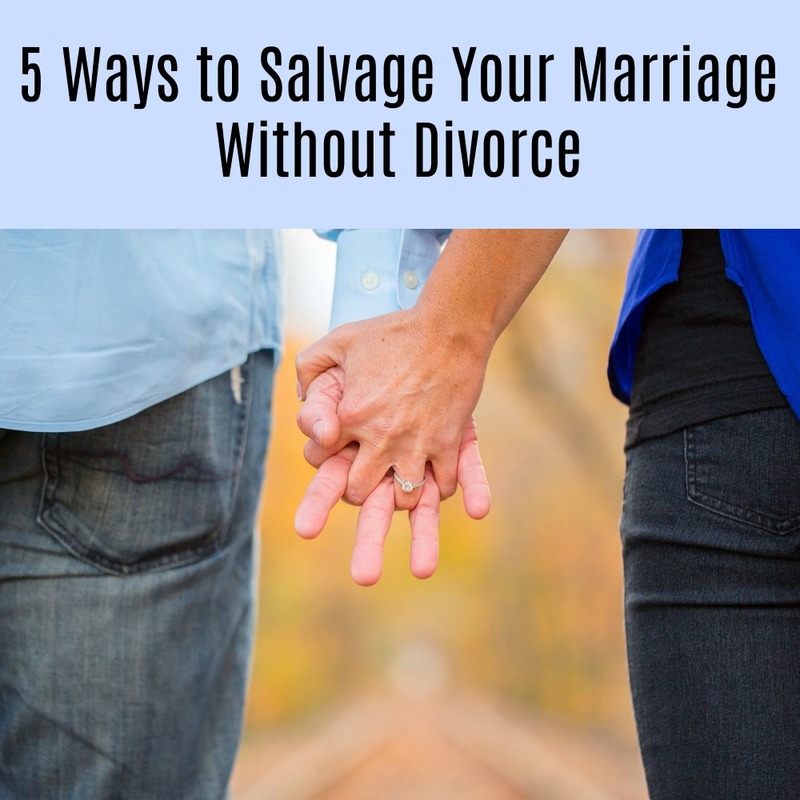 If you are feeling like divorce is the only solution, try working it out using these five ways to salvage your marriage and get on to a happier path once again. Get it out in the open. Experts always say the first step to fixing a problem is to admit you have one. If you and your spouse are constantly fighting or bickering at one another, then you need to cut the negativity and get this all out in the open. Talk to each other about how you’re feeling and express that you think there’s a problem. The rule? Do this as calmly and respectfully as possible. If you start to nag the other person or turn this into a fight, then it just becomes one more thing for the two of you to argue about. Instead, be adults and talk openly about your feelings and how you’re going to make things work moving forward. Once the two of you have talked, it’s important to seek professional help as early as possible. This way, it gives you time to nip bad habits in the bud as soon as possible instead of letting feelings fester and making it unsalvageable. Professional couple’s therapists can ensure you and your spouse work through the issues in a way that lets you talk openly with the assistance of someone else. Plus, they will teach you better ways to handle certain situations or how to treat each other, which can allow you to be more positive and save the marriage instead of end it. If you’re stubborn, it will be hard for you to save your marriage because you won’t be willing to try. Instead, you need to realize that you are not perfect and there are things you will need to do and behaviors you’ll need to change in order to make your marriage work. For instance, if you are constantly nagging at your spouse, if you always have a bad attitude, or if you have other issues that make the marriage unhealthy, you’ll need to be willing to change. If you are not willing to do this, you may as well call the divorce attorney now because the marriage simply won’t work. Sometimes we can take things out on our spouse when we’re not happy with ourselves. When this occurs, it makes sense for you to do things that make you happy. Maybe you need to take a class, go out to dinner with friends more often, start to workout, or find a hobby that’s right for you. When you are able to boost your own self-esteem and your own happiness, you’ll bring this happiness to your marriage that will make you more likely to work everything out in a positive way. Not only should you do this, but ensure your spouse is also doing things that make him or her happy as well. When you both find things that make you happy, you’ll be more likely to work on your relationship in a positive way. Your marriage isn’t something you should take for granted or something you should be willing to give up easily. If you use these tips, you can help to salvage your marriage and get back to the way things used to be. I think people are seeing that divorce isn’t an easy answer long term, esp where kids are involved. What is sad is the number of seniors getting divorced, I read that has actually increased. Hospitals have “orphan” elderly, who have nobody to care for them, nobody to contact, happening more and more, due to divorces, etc. In the good old days, there was more social support to try to help people stay together, maybe the pendulum is swinging back towards that, I hope. YES!! Willing to change is such an important thing!! I find that in so many situations so many aren’t willing to compromise! This is all good info that we should follow each day. I also agree about willing to change and compromise.